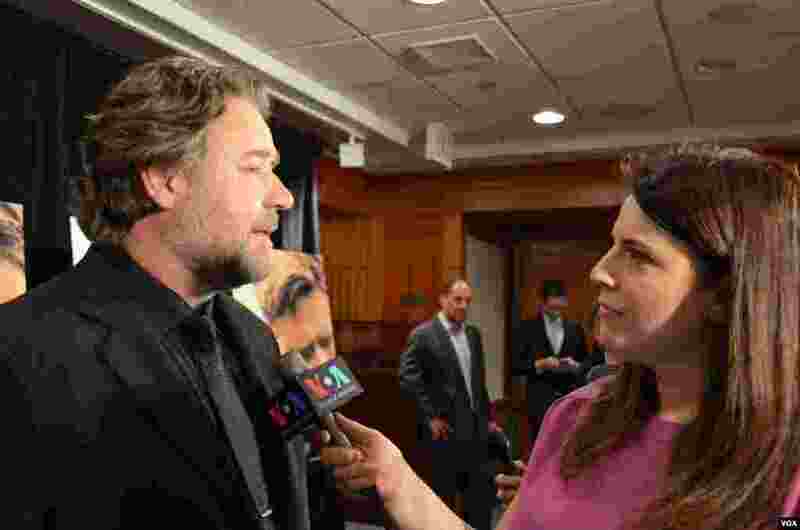 5 Mehtap Colak Yilmaz of VOA Turkish, interviewing Russell Crowe on his latest movie "Water Diviner," April 2015. 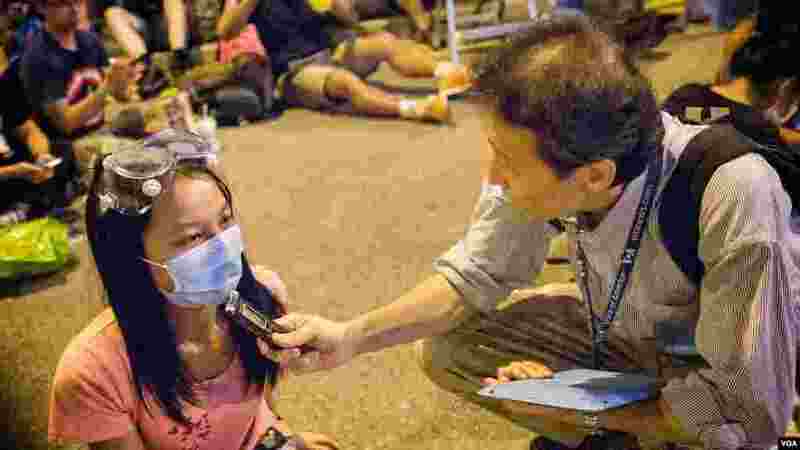 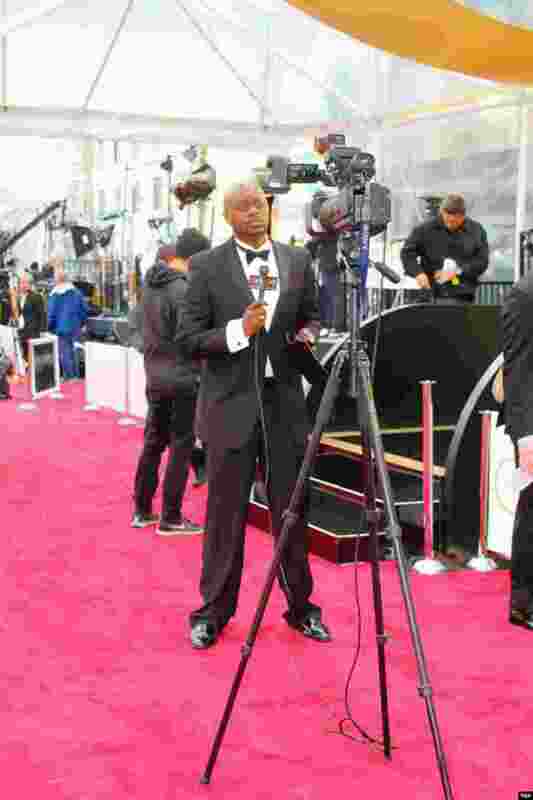 6 VOA French to Africa broadcaster Rajah Roger Muntu reports from the 2015 Oscars, February 2015. 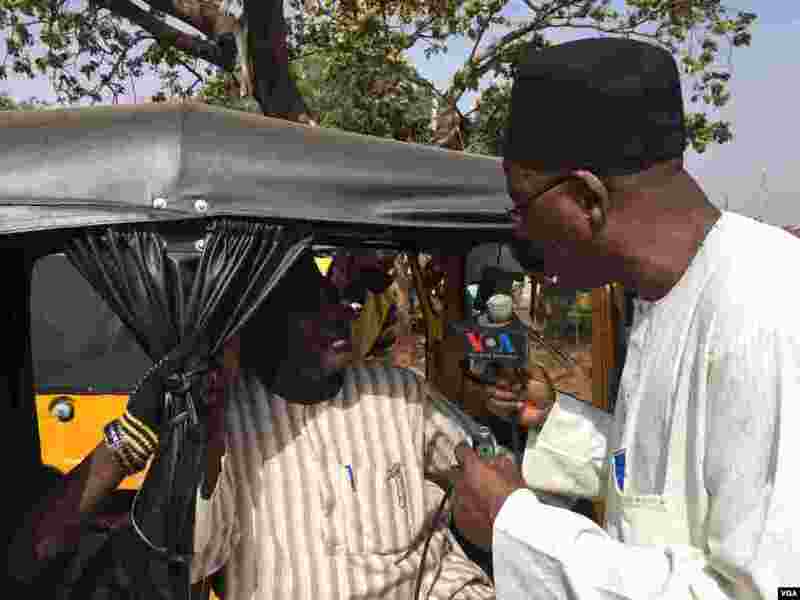 7 VOA Hausa reporter Ibrahim Ahmed interviews local residents in the nothern Nigerian city of Kaduna, February 2015.